If you have kids, elegant living spaces might seem too stuffy and impractical. Try a more comfortable and fun design, like this adorable family home. 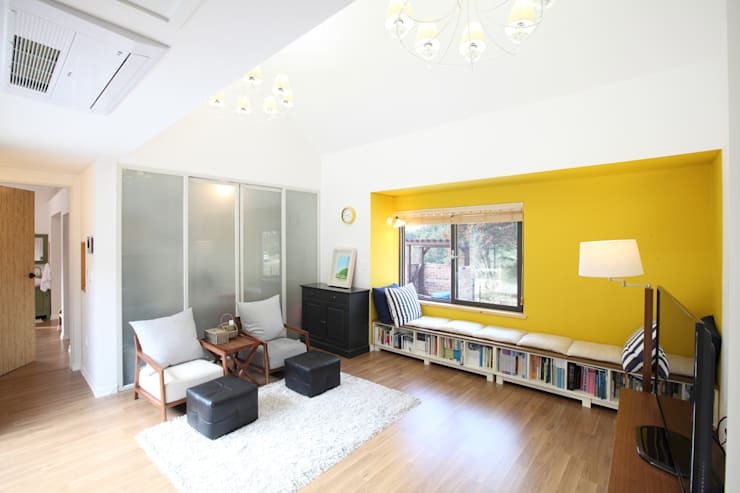 The architects Homestyletoto took every advantage to make a lounge spot in this home. Even traditional areas, like the dining room, have been made comfortable and kid friendly. There's two fun lofts and multiple reading nooks, so you can get some quiet time away from the kids. Plus, if you're into family campfires, this home's outdoor space has your name written all over it! This house doesn't just have a fun U shape, it boast some fun accessories too! First there's the fire pit area on the left. It's decked out with one long bench for the kids to pile onto. The furniture happens to be stylish in a dark wood finish too. Then there's the covered barbecue area on the right-- because nothings as disappointing as when a family barbecue gets rained out! Lastly, the little ones will love the sand pit next to the awning. Here's the first of the window seats that the architects have cleverly included in this design. They've made this feature a focal point of the room by highlighting the wall in a cheerful yellow. That pop of colour gives a playful tone to this otherwise very modern living room. There's also soft carpet for the little ones to sit on if the bench is taken. Isn't it much more comfortable to settle in for dinner on a spacious bench, rather than a narrow chair? We think so, and we relish the opportunity to add some accent pillows to the dining room, of all places! Between the bright pillows and the lime green wall this room feels even more playful than the living space. The bench is also making fantastic use of the limited space in this room, and providing some more storage beneath it. Here's the first of the loft spaces. It's more muted than the other rooms as it stands across from the main entrance to the house. You'll notice that the sink to the right isn't attached to a bathroom, its just there so you can monitor the kids while they wash their hands or brush their teeth. A few details really make this space feel relaxing. The tiny plant in the wooden shelf provides some life, while the slightly quirky light fixture illuminates the sink area. 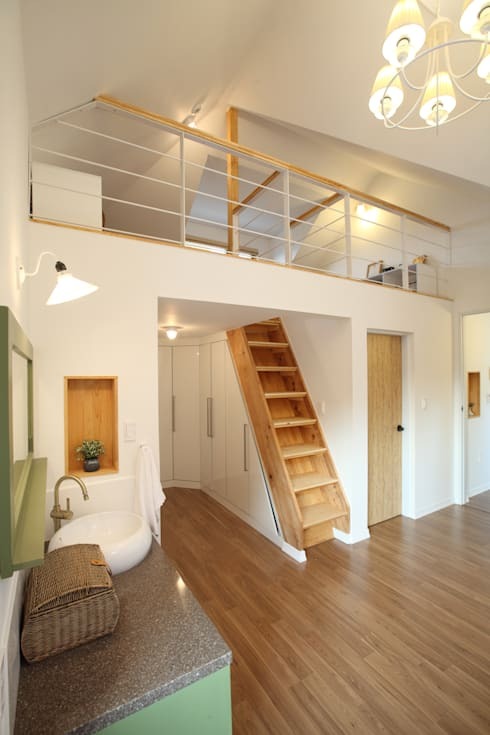 The wood used on the stairway also makes the space feel welcoming. Any child would enjoy racing up and down these stairways. The loft is like a giant bunk bed, except they're in no danger of falling off. Its little hard to see from this angle but the railing has thinner white poles so that even small kids can't fall through. 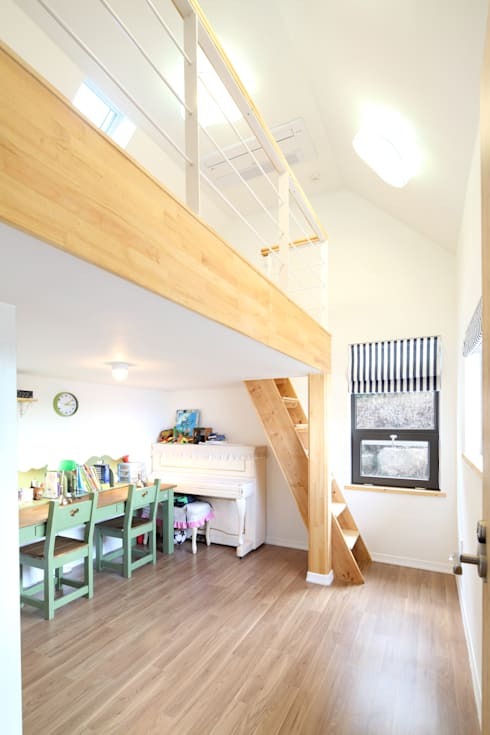 Beneath the loft is a cute cubby area that's been outfitted both for piano practice and homework. 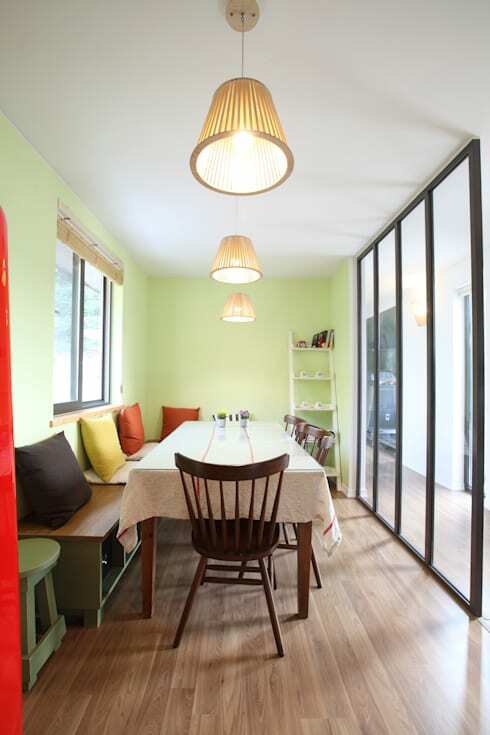 The short green chairs with a heart design make the space perfect for children. Want some more ideas for kid's rooms? We have a huge gallery of them, with examples for all ages! The master bedroom has huge ceilings that are emphasized by the triangular window at the top. It's quite a unique feature, and provides a modern contrast to the more traditional chandeliers next to it. This room also has a window reading spot that's perfect for getting some alone time. It's brightened up with a lovely shade of red, bringing some cheer into the room. 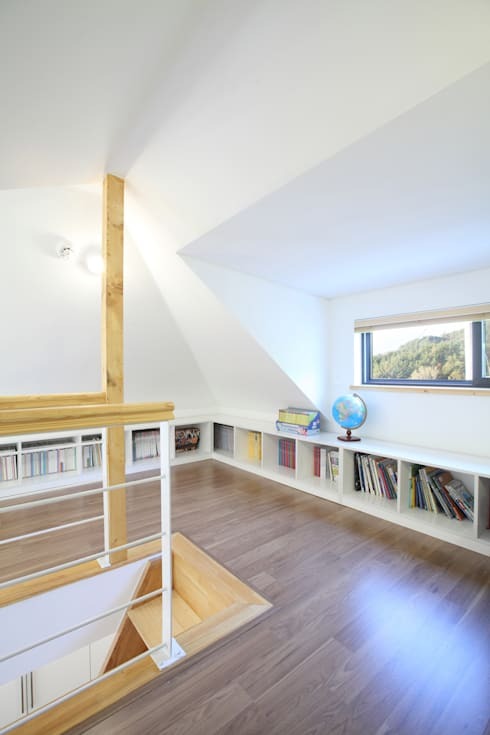 The architects have made great use of the shorter attic space by turning it into a playroom for the children. All around the edges of the room are short shelves full of books that the children will have no trouble getting into on their own. The top of the shelf serves as a seat, plus a collection spot for some of the other toys like the globe. 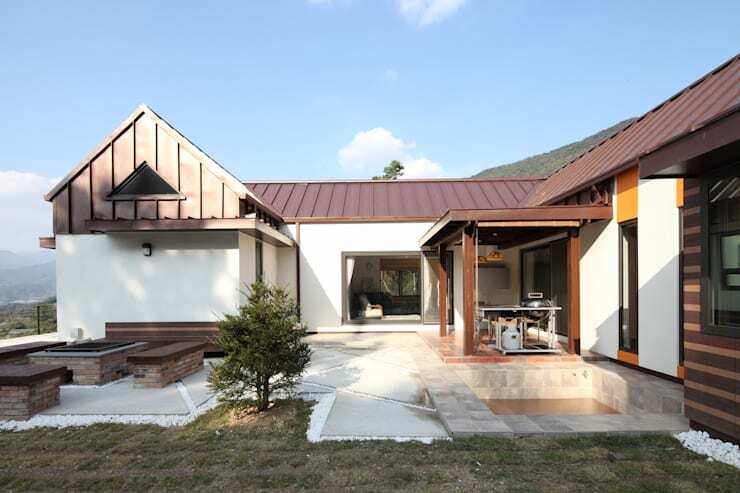 What a family home that combines a little more elegance? Take a peek at this home designed around one family's passion for music. Would you consider adding a window seat to your home?